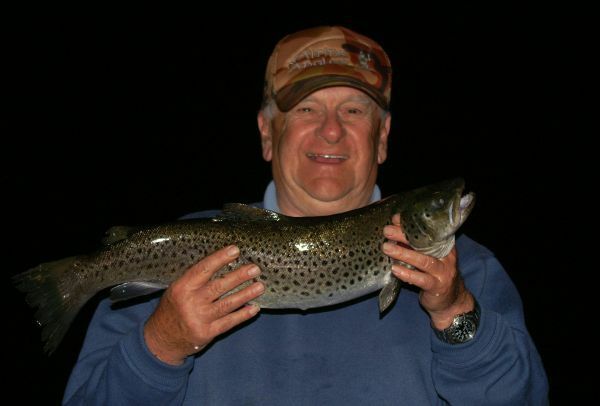 Headlines: The Snowy Mountains Trout Festival is in full swing and there have been some very nice fish coming in from both the main lakes. Trolling and bait have been the best method with plenty of quality fish around. So far the largest fish taken is 3.4kg (cleaned) and was caught by William Lee. There have been good numbers of Rainbows coming in and some very nice sized ones amongst them. The competition concludes at 10 am this Friday with the presentation at Berridale. 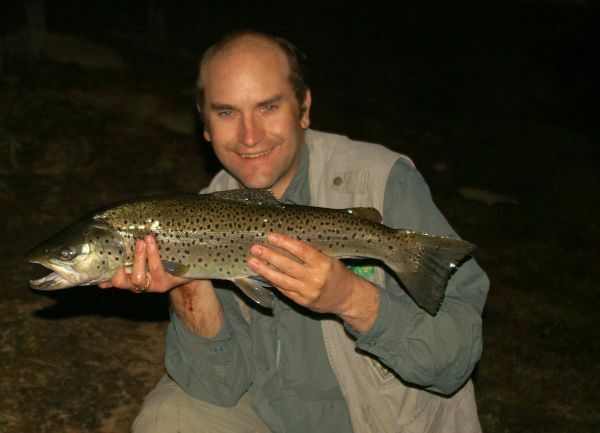 Rivers:- Dry fly fishing has really improved in all the local rivers in the past week. Early and late in the day have produced the best rises from the reports received. Dry flies to use at the moment are small emergers like Klinkhamers, Blue wing olive parachutes, attractors like Wullfs and Stimulators, along with beetles and ant patterns. 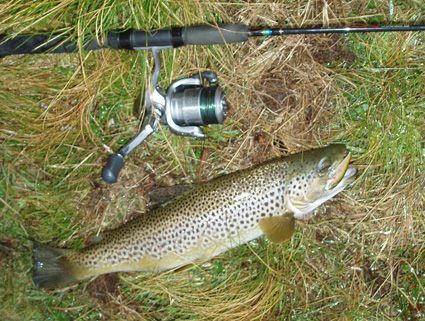 Reports from the Thredbo suggest that a few caddis have been hatching and the fish have been on them. Weighted nymphs are still working very well also. Lake Eucumbene:- Has started to produce a few more fish around the edges and will gradually improve as more and more fish return from spawning and start hunting the food that is gaining in numbers around the edge. With all this happening again and with warming edges the midges will come on and the fish with them. There are more and more midge starting to hatch and even in areas that are not grassy. Several anglers have reported seeing numbers of them in some of the secluded, muddy bottomed bays on the Western shoreline. Think locations like Seven Gates, Buckenderra, Braemar, Cobrabald, Waiunui, Coppermine, Collingwood, Yens, Wangrabelle, Springwood all these areas are and will continue firing for a good couple of months now both with polaroiding and evening rises. *Ian, David, and Stuart had a good session recently. They managed twelve fish on fly with the biggest a brown of 2.5kg. Best flies were black nymphs, hare and coppers, olive fur flies. Fish were full of stick caddis. Stuart caught his 1st fish on fly on this trip and was a great kilo plus rainbow. *Tom, Fished the Thredbo river on Tuesday the 28th, not much was happening in the peak heat of the day. The afternoon proved the go with a number of hatches and trout taking both the dry and suspended nymph, 8 trout for the session on the upper reaches. Wednesday was very overcast with some rain, lost a very large rainbow on the first pool for the morning. I was all emotional (very VERY large rainbow) so grabbed the spinning gear. Landed to very good fish within the next two hours. *Terry Richardson has been fishing the comp this week and had caught browns of 1.7kg, 1.3kg and 2.4kg plus a nice atlantic salmon of 1.4kg. That is some very good fishing indeed. As promised here is a run down and some photo's of our fishing last week. Jindabyne were doing well on Mudeyes in the middle of the day however. Scatbacks or Vibrax Minnow Spins. Hope the Trout Festival is keeping ya busy.